Gradient Click the gradient to display the Gradient Editor, or click the inverted arrow ▼ and choose a gradient from the pop-up palette. (See "Creating smooth gradient fills" on page 245.) Set additional options if desired. Style specifies the shape of the gradient. Angle specifies the angle at which the gradient is applied. Scale changes the size of the gradient. Reverse flips the orientation of the gradient. 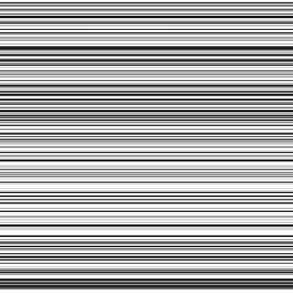 Dither reduces banding by applying dithering to the gradient. Align With Layer uses the bounding box of the layer to calculate the gradient fill. You can use the mouse to move the center of the gradient by clicking and dragging in the image window. Pattern Click the pattern, and choose a pattern from the pop-up palette. Click Scale and enter a value or drag the slider to scale the pattern. Click Snap to Origin to position the origin of the pattern with that of the document window. (See "Using rulers, columns, the measure tool, guides, and the grid" on page 43.) Select Link With Layer to specify that the pattern moves with the fill layer as it is relocated. When Link With Layer is selected, you can drag in the image to position the pattern while the Pattern Fill dialog box is open. Curves Adjust the intensity values of pixels along a 0-255 scale while keeping up to 15 other values constant.For more information, see "Using the Curves dialog box (Photoshop)" on page 139. Color Balance Drag a slider toward a color you want to increase in the image; drag a slider away from a color you want to decrease in the image. For more information, see "Using the Color Balance command (Photoshop)" on page 146. Selective Color Choose the color you want to adjust, and drag the sliders to increase or decrease the components in the selected color. For more information, see "Using the Selective Color command (Photoshop)" on page 149. Channel Mixer Modify a color channel. For more information, see "Mixing color channels (Photoshop)" on page 271. Gradient Map Choose a gradient and set gradient options. For more information, see "Using the Gradient Map command (Photoshop)" on page 155.